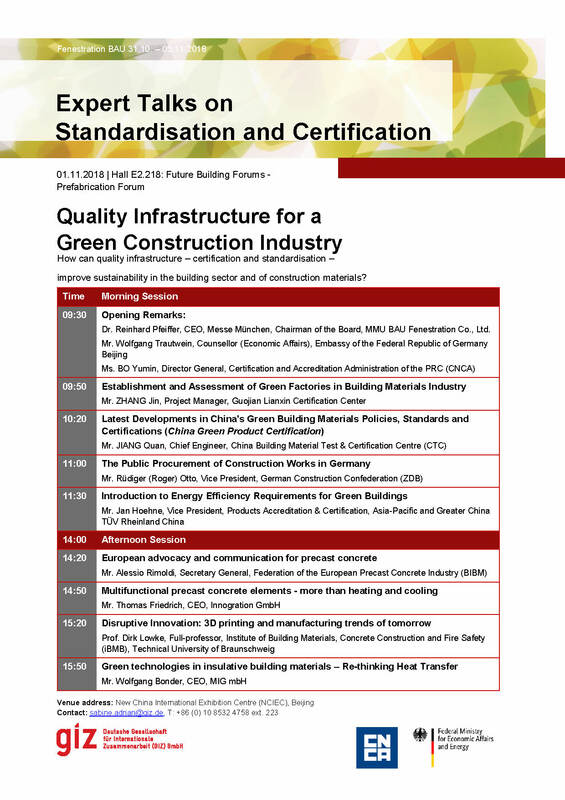 Documentation of the expert talks on the topic "Quality Infrastructure for a Green Construction Industry", which took place on 1 November at the FENESTRATION BAU China 2018 trade fair in Beijing. The Standardisation Roadmap of Predictive Maintenance for Sino-German Industrie 4.0 / Intelligent Manufacturing. 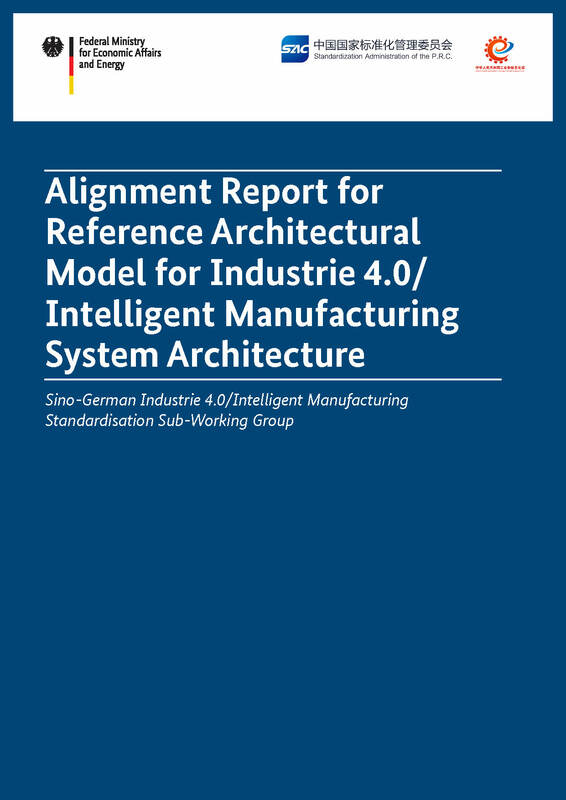 Alignment Report for Reference Architectural Model for Industrie 4.0 / Intelligent Manufacturing System Architecture by the Sino-German Industrie 4.0 / Intelligent Manufacturing Standardisation Sub-Working Group. 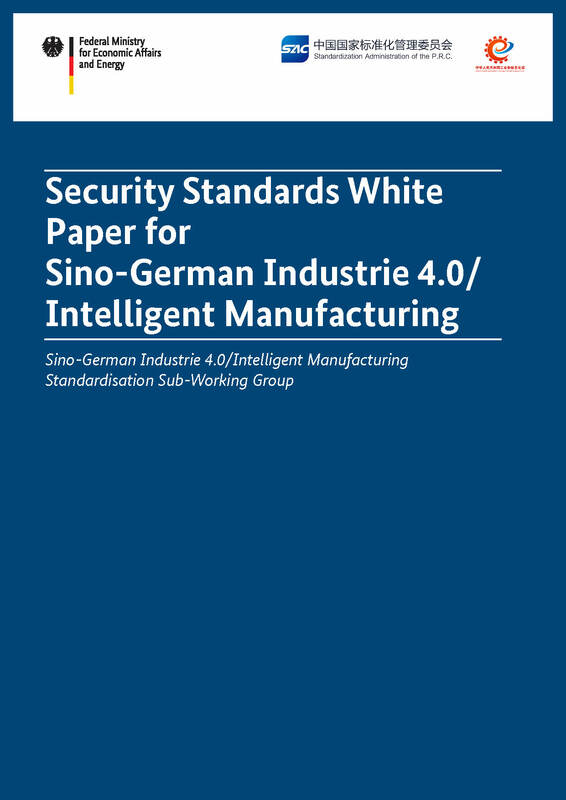 Security Standards White Paper for Sino-German Industrie 4.0 / Intelligent Manufacturing by the Sino-German Industrie 4.0 / Intelligent Manufacturing Standardisation Sub-Working Group.